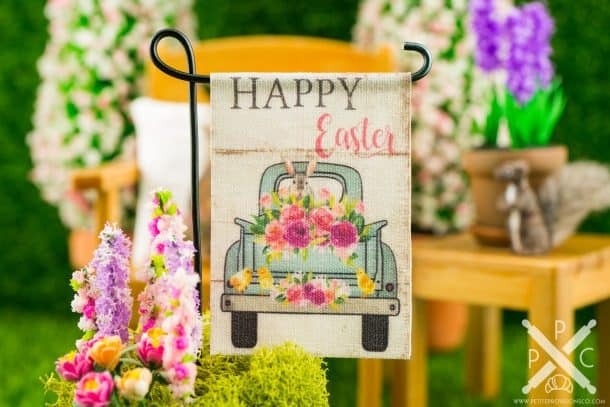 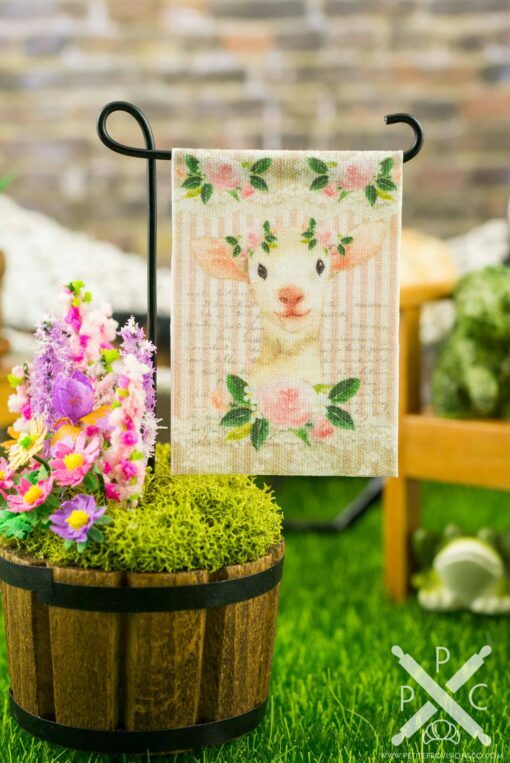 Dollhouse Miniature Spring Lamb Easter Garden Flag - 1:12 Dollhouse Miniature - The Petite Provisions Co.
Decorate your dollhouse garden or yard for Easter with this darling little garden flag! 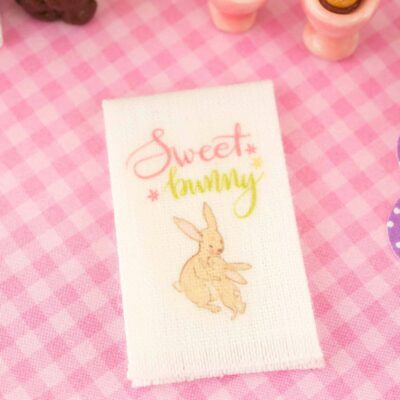 This is a custom printed fabric flag featuring a lamb with a floral crown on a pink stripes and lace background. 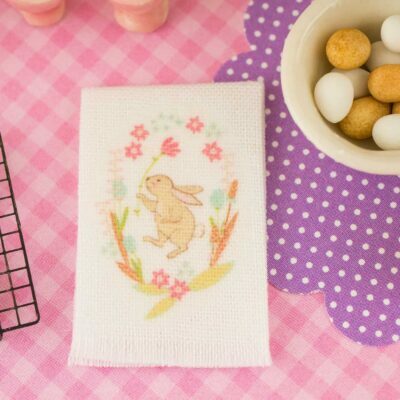 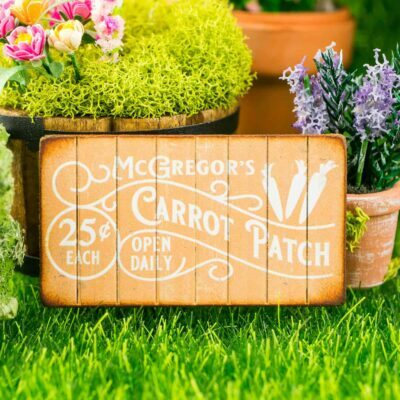 Whether you have a dollhouse or just love all things tiny, this wee Easter decoration is too cute to resist! 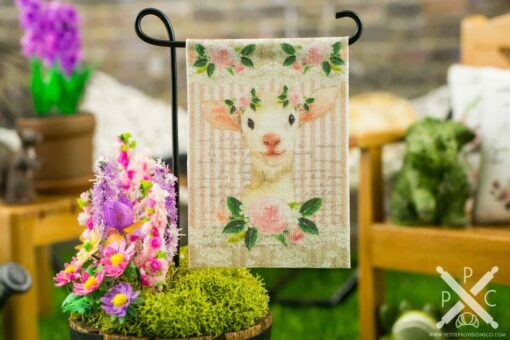 A custom printed fabric garden flag with a design (front and back) of a lamb with a floral crown on a pink stripes and lace background hanging from a black wire stand. 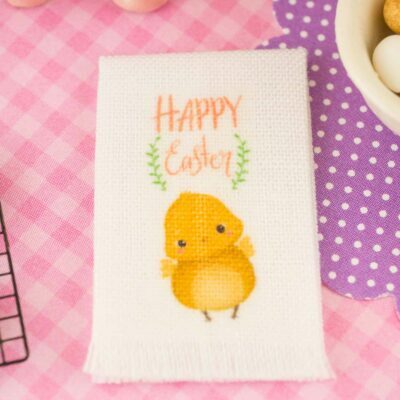 Please note that the wire stand is flexible, so handle with care.